Halyard left on a week long service trip to the Philippines with his classmates. Kaiyo went biking with his classmates on a popular route called Shimanami Kaido, across 6 islands and 6 bridges in southern Japan. He’ll be gone for a few days. So we decided to skip out with Avalon. Halyard says he doesn’t like the fact that Avalon gets a stamp in her passport that he won’t have. But none of us are getting stamps from the Philippines so it doesn’t seem too unfair. 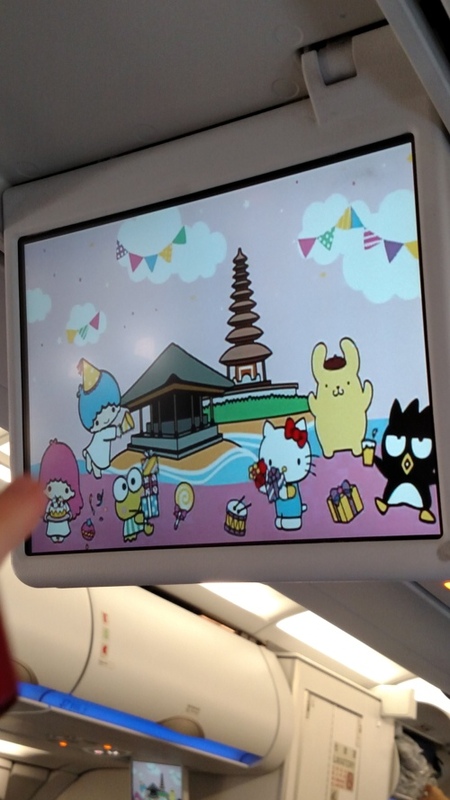 We’re flying on the special Hello Kitty jet to Taipei, Taiwan. 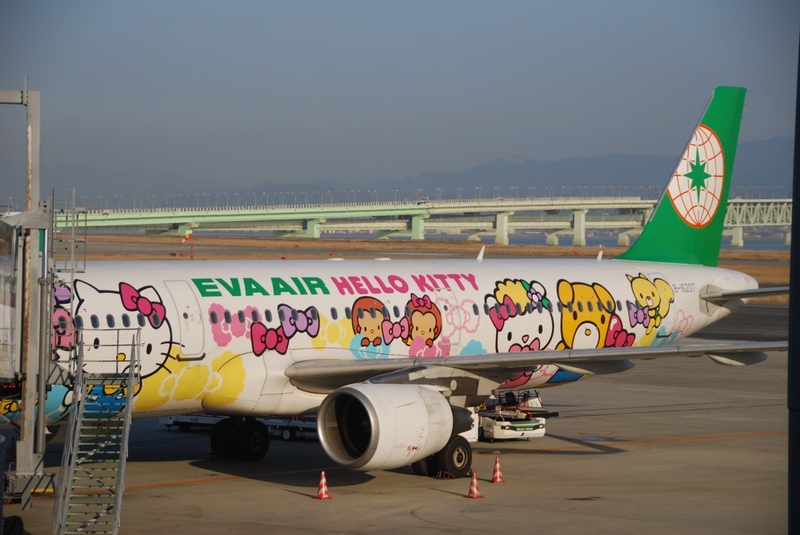 EVA Airlines, Taiwan’s airline, flies specially decorated SANRIO planes from select destinations between Taiwan and spots around the world. 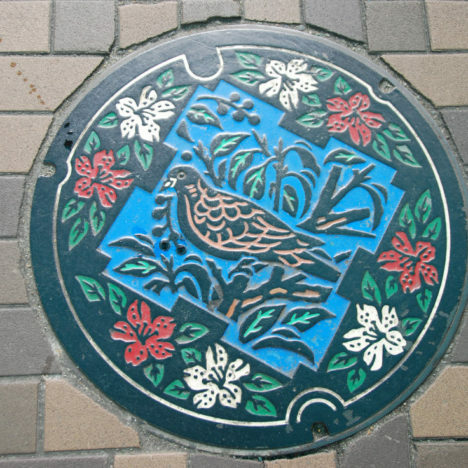 Lucky for us, Osaka is one of them. MECHA KAWAII! It’s Wednesday, March 14. I booked a flight for 5:30pm so that Avalon could still go to school half day. We came home and ate lunch. I cleaned the dishes, we sat around and relaxed. 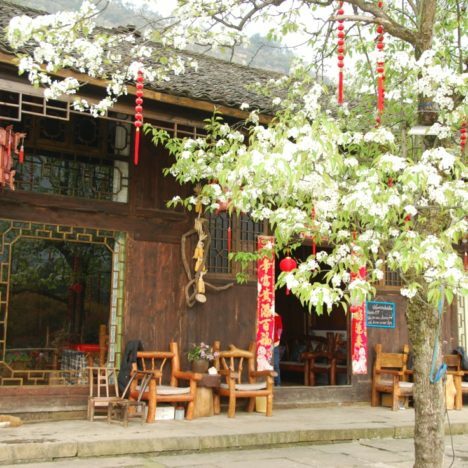 But I didn’t pay enough attention to the bus and train schedules and when to leave the house. We planned to take the monorail to our nearby airport, Itami, and then take the 1-hour airport transfer bus from Itami to Kansai International (KIX). At Itami, we ran from the monorail station to the bus stop. Out the ticket gates, across the station, down the escalator to the curb, hauling our luggage. But we missed the Itami to KIX airport shuttle bus by just two minutes. The next bus wouldn’t leave for another 40 minutes. Too late for us to check in. 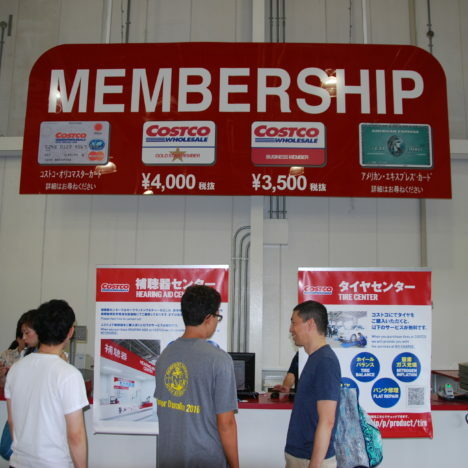 We went to the Itami information counter to see what we could do. One option was to take a shuttle bus to Tennoji (train) Station and from there take a limited express train to KIX. We got on the bus. As it was pulling away, John realized the bus would be too slow, that we would miss the train at Tennoji by just a few minutes again. No way to make it on time. We found the EVA Air ticket counter and it was empty there. 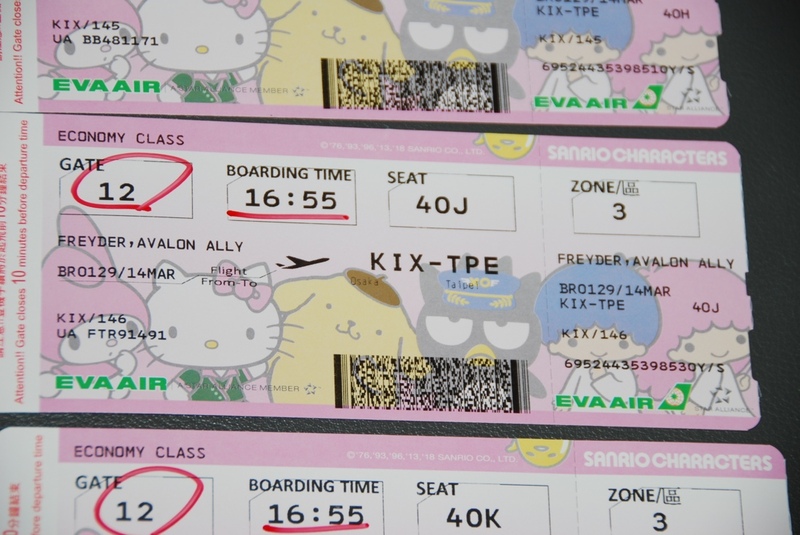 We picked up our special Hello Kitty boarding passes. We went to security and the line was incredibly short. Phew. We got to the gate with “plenty” of time. 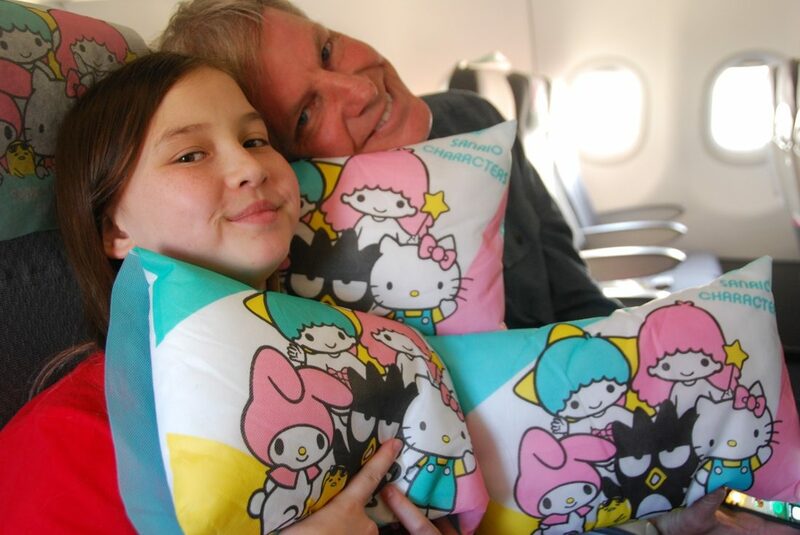 We couldn’t miss our special Hello Kitty flight. It only flies once a day and it’s an extra fee so that would have been a bummer to miss it. 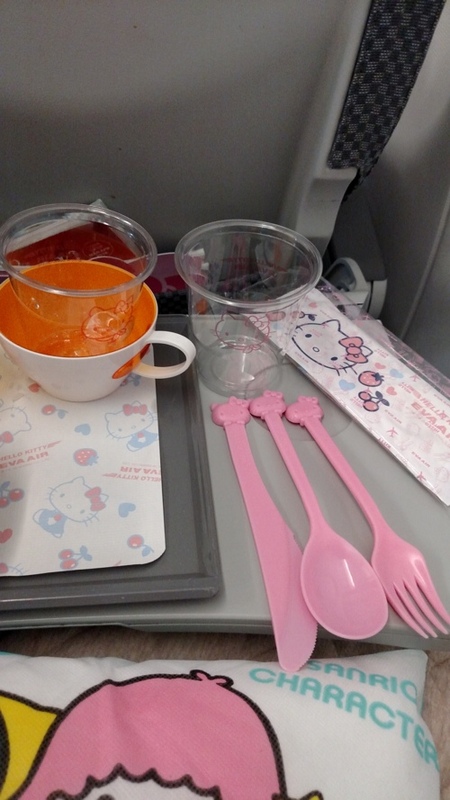 Hello Kitty pillow covers, Hello Kitty head rest covers, utensils, coffee stir sticks, HK plastic cups, pink colored drink menus with Hello Kitty, even Hello Kitty barf bags! I completely forgot to go to the toilet to check out the Hello Kitty EVA printed toilet paper. I’ve seen it in people’s online photos but now it’s too late to see it with my own eyes. The food was pretty awesome. I don’t know if that’s because Taiwan is a foodie’s heaven or because the Hello Kitty jet makes special food, but it was as close to delicious as you can get on the plane. And I had even ordered a lacto-ovo vegetarian meal. I saw on other people’s photos that the food might be Hello Kitty shaped, but we had only regular food. 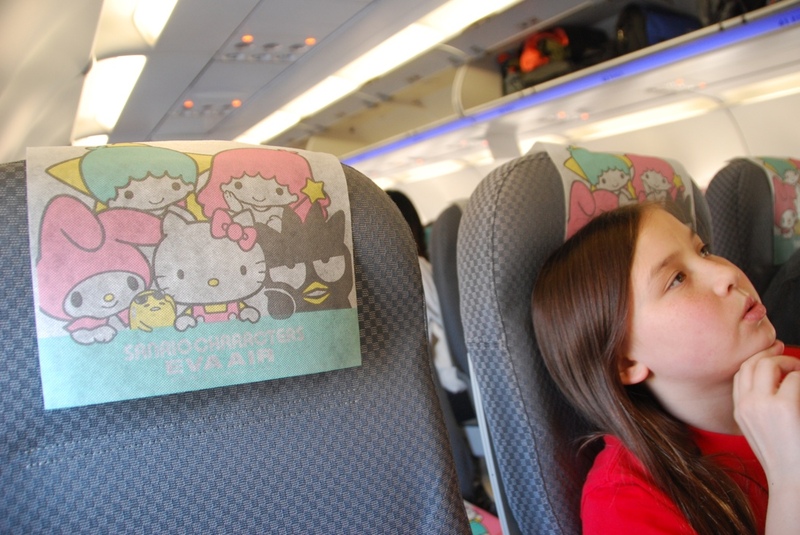 I loved the special Hello Kitty apron that the flight attendants wore so I bought one for my sister for her birthday. She is a number one Hello Kitty fan. We also took away as many HK plane freebies for my sister as we could. 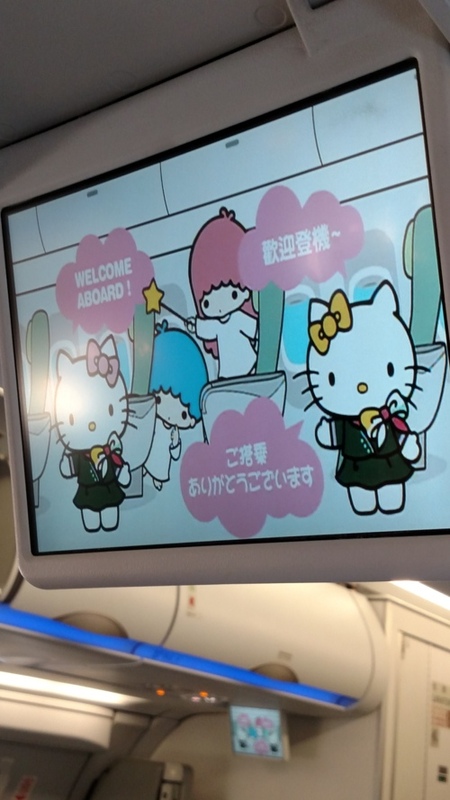 On our way off the plane the cute flight attendants gave Avalon Hello Kitty playing cards. It was Hello Kitty heaven! 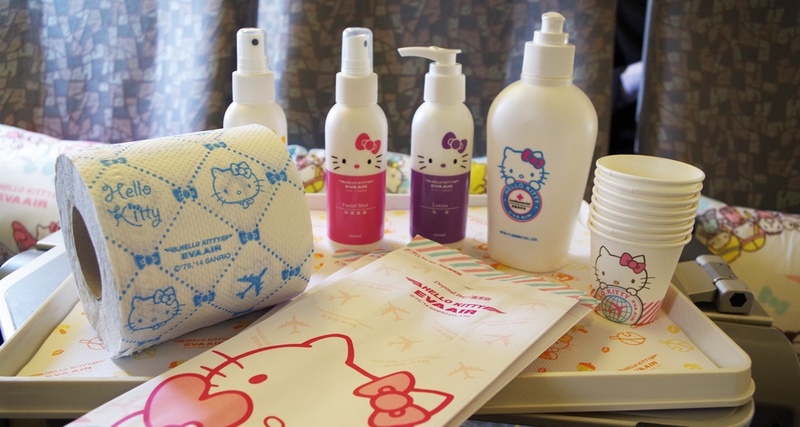 Yeah, I’m really bummed I forgot to go to the toilet to check out the Hello Kitty toiletries. But here they are, in a photo I lifted off the internet. Custom Hello Kitty toilet paper! Can’t buy that anywhere. And it’s not included in the in-flight catalog either. But I bet if it were it would be a best seller. 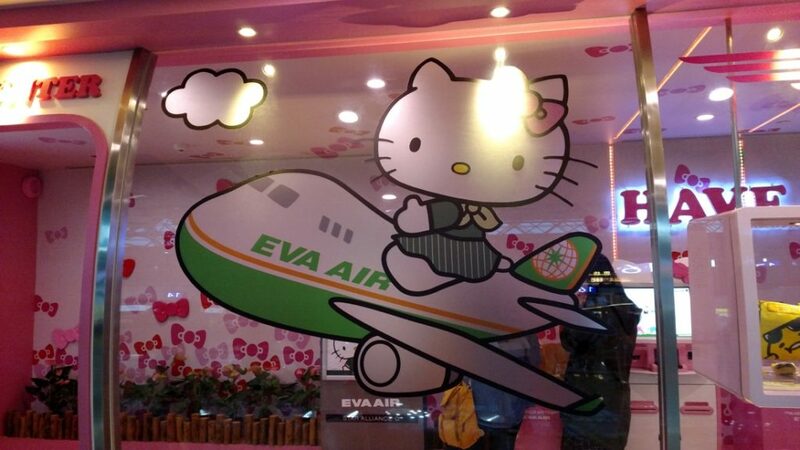 At Taipei’s Taoyuan International Airport we saw the cute Hello Kitty check in area. 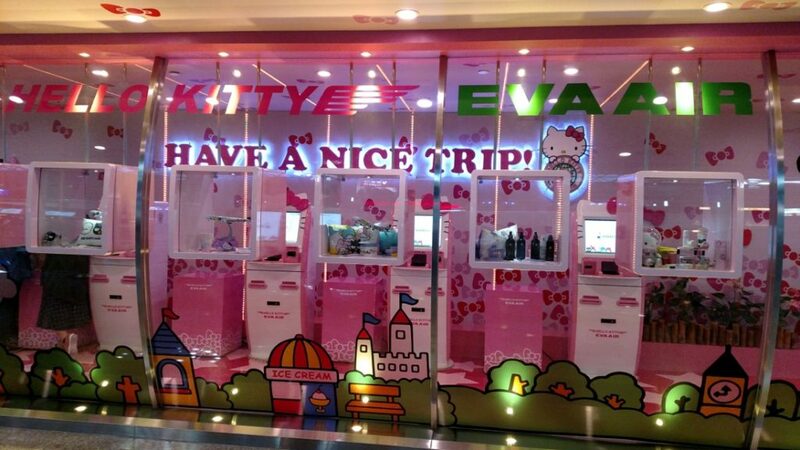 You can use these special check in kiosks when you fly on the Hello Kitty flight out of Taiwan. But we didn’t get to fly this plane on our way home. See you next time Sanrio friends! Maybe we can fly Gudetama’s (the lazy egg) flight next. What an amazing experience, I’ve never seen anything like this. When I was your age I loved Kiki LaLa. Was there a Doraemon flight? I would have to take Auntie Maya on that one. Amy. We’re so glad it was such an amazing experience. We miss you a lot! Talked to sue the other day. Hope to find a tumblr me to get together somewhere in the near future! Dave’s missing talking to John. Tom and Rachelle are coming down in a few weeks. We’re very excited to see them and meet her!